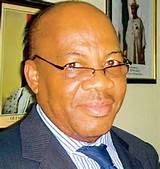 Dr Olisa Agbakoba, Human Rights Advocate and Maritime Lawyer, has called for a reform of anti-corruption agencies in the country to reduce corruption. Agbakoba, who made the call at a news conference in Lagos, said, “there has to be roots and branch reform of the anti-corruption agencies if we must succeed in slowing down corruption’’. He said he had written a letter to the President-elect, Muhammadu Buhari, to address the problem of corruption. The maritime lawyer said that new strong institutions would be required to reduce corruption. “Salaries and emoluments voted to our legislators by themselves is about 25 per cent of our national budget. “This is unconstitutional because it is not approved by the Revenue Fiscal and Mobilisation Commission. “It is strongly recommended that the NNPC be fundamentally reformed,’’ Agbakoba’s said in the letter. He urged Buhari to consider budget reform for the Presidential Villa and Government Houses and called for the strengthening of the public procurement procedures and check on the award of contracts. “All these have taken a major toll on our resources and encouraged corruption. “The first crucial challenge is for you to stop these aspects of corrupt practices and introduce major spending cuts, ‘’ Agbakoba said. The maritime lawyer said that legal and justice sector had suffered institutional failure over the last three decades, adding that lip service had over time been paid to the rule of law. According to him, the sector needs reform to encourage investors, because investors, whether local or international, will not invest in a country where this is lacking. He, however, said that priority should be in the diversification of the economy to make it less-dependent on imports and on crude oil as source of revenue for the nation. Agbakoba said it was necessary to have a clear strategy, model and plan for economic diversification, both horizontally and vertically. “Vertical diversification means a shift from the oil and gas sector to other sectors – Agriculture, Services, Maritime, Aviation/Space, Manufacturing, Health, Sports and many others,’’ Agbakoba said. The maritime lawyer also advised that a model of the United Arab Emirate which had successfully diverted out of oil into new revenue sources could be followed. He described the Financial Service Sector (FSS) as the life blood and oxygen of a strong economy, which must be supported by strong independent institutions for growth and development. He also spoke on the need for welfare care for the elderly, vulnerable and disabled people in the society. Agbakoba talked on the need for improved housing and mortgage scheme to enable low-income earners own their own homes and be able to pay over a period of time.